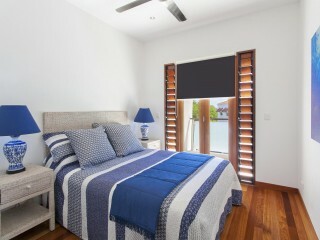 Great New Price - Purchase now to own your riverside holiday home in time for Summer. 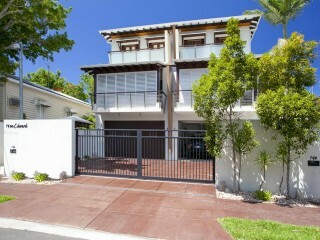 Defining luxury and quality, this stunning three level duplex offers space, size and functionality. 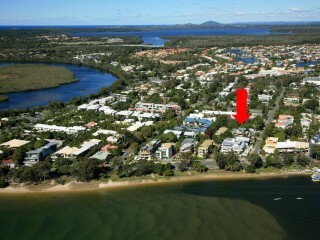 Positioned in the most sought after slice of Noosa River precinct you can smell the coffee from your balcony. 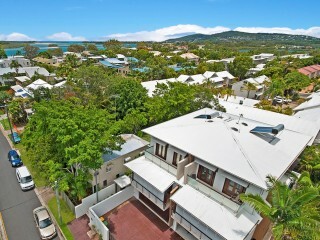 This home is perfect for executive couples or holiday investors looking for a Noosa trophy property. Rich in modern design and timeless style, the lower level of the home features a bathroom, laundry and access to the garage and pool area. 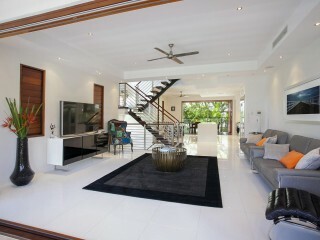 Via an eye catching timber staircase, the middle level offers a generous open plan living space with soaring ceilings and an abundance of light and cool breezes. 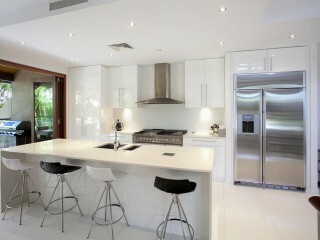 A state of the art kitchen with European appliances, Caesar stone benchtops, double fan forced oven with gas cooktop, teppanyaki plate and built in deep fryer will impress keen chefs and entertainers. 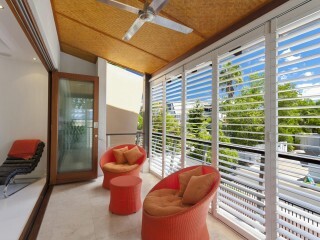 Bi fold door open up to two balconies, the rear balcony allows access to the pool and the front balcony features stainless steel shutters that allow for year round use. 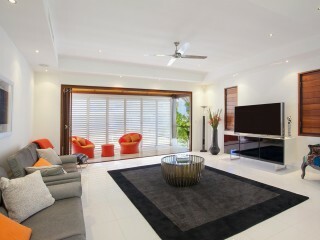 Both are complemented by stunning bamboo feature ceilings. 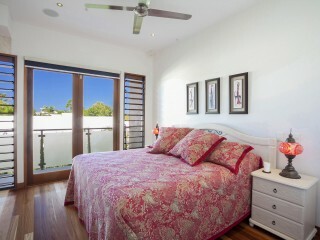 The final level offers three generous bedrooms and two bathrooms. 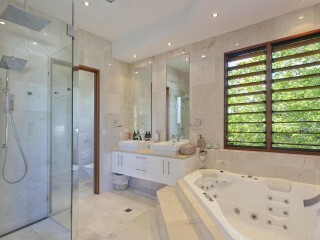 The master suite features a walk in robe with laundry chute, ensuite with double spa bath and shower, double vanity and separate toilet and private balcony. 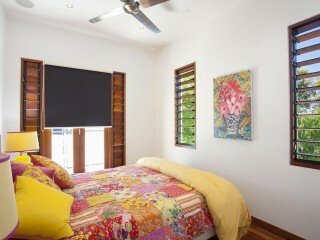 The further two bedrooms feature built in robes, balconies and share a bathroom. 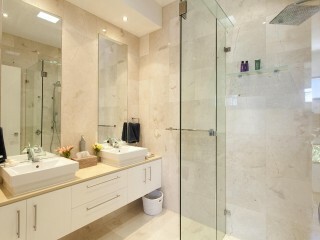 Both bathrooms are finished with floor to ceiling marble tiles and quality fixtures and fittings. For those keen adventurers and boating enthusiasts, this home offers the perfect facilities for a caravan or a boat featuring a very generous four car garage with 2.8 metre opening height. For families looking for extra space it is possible to convert the tandem part of the garage into a rumpus room (as done by 14B). An exceptional address, enjoy an easy 100m stroll to Gympie Terrace for coffee, a leisurely Sunday morning breakfast or take out the kayak or stand up paddle board. 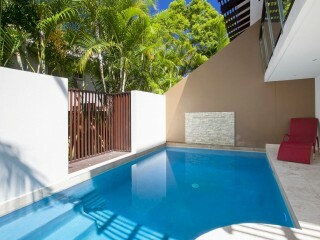 This is a very desirable location to escape for a weekend or a lifetime. 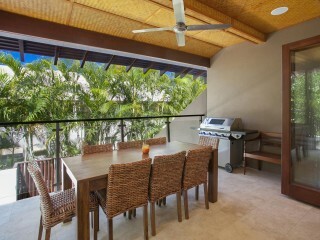 For Holiday Rental Investors we have packages available for your perusal. Please contact us for a copy.